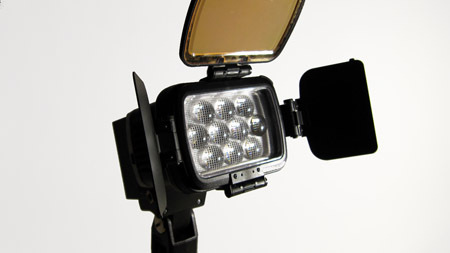 Comer LED lights provide a flipping condenser lens to create spot light mode. With a little trick with the condenser, it will throw a very strong beam that helps zooming in shooting. 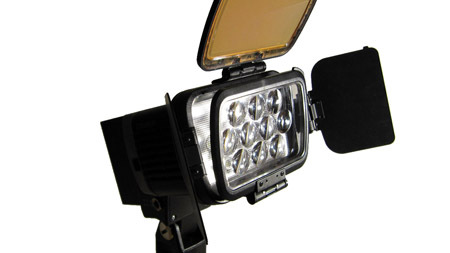 Comer LED lights unique featuring the condenser lens that creates a strong spot light output by flipping up the condenser lens. Here's the trick! When closing the condenser lens, leave it open about half an inch. Then it will create a really narrow high strong beam output. This comes very handy when you need to zoom in from a distance. When zooming in, the iris aparture will close up thus less light can be entered through the lens to the sensor. The resulting footage will be very dim. With this trick projecting a very narrow strong high beam, it can be used to tackle the issue of smaller aperture. The strong beam can also lit up the object even from a distance. It proves to be very useful. You can see from the following video how the condenser trick is implemented. The trick was shown at the second part of each video.